History – De Courcey Albion F.C. De Courcey Albion have a long history, the earliest evidence of a team leads back to the 60’s when the Club joined the West Cork League. The history in honours is fairly hazey leading back to those times but some time during the mid/late 70’s the club disbanded. It was re-formed once again in 1990 by Tony Norrish & Patrick O’Donovan. 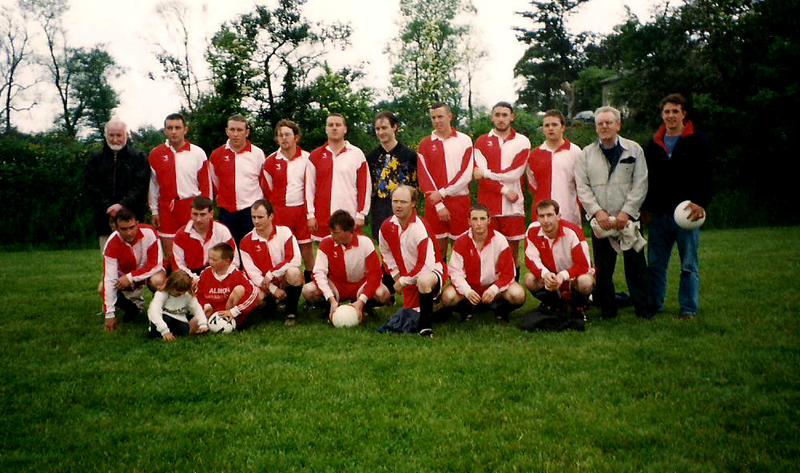 The club again started playing their football in the West Cork League. At the time the club was made up of players during the Conor O’Donovan, Martin Moir, Larry Austin, Donie Nyhan, William Manning, John Galvin, Denis White era. The earliest evidence of silverware was the 1994/1995 season when the club achieved their 1st promotion since re-forming. A younger section of players had emerged adding youth to the squad. Part of this group was Brian Hayes (Cpk), Brian Hayes, Jamie Hayes, Sean Hayes, Declan Murray, Nelius Murray, Padraig Harrington & Albions top scorer Fran Harrington. This squad in particular were to go on the gain promotion the following season again and go on to compete as a Premier League West Cork Team for the following 2 seasons. 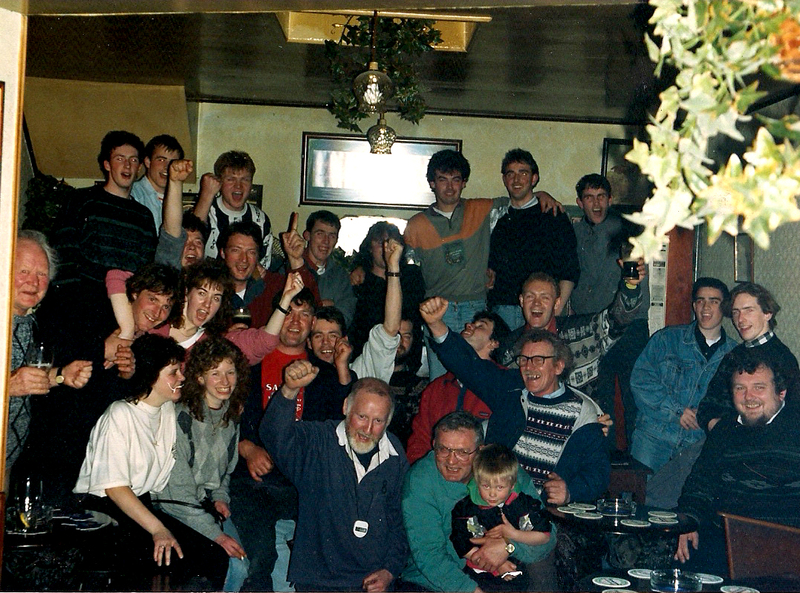 In 1999, after many heartbreaking semi-finals and cup finals in previous seasons, the club won the West Cork Division 1 Cup after winning 4-2 on penalties. Liam Calvert was the manager at the time and is still held as one of Albions most successful managers. 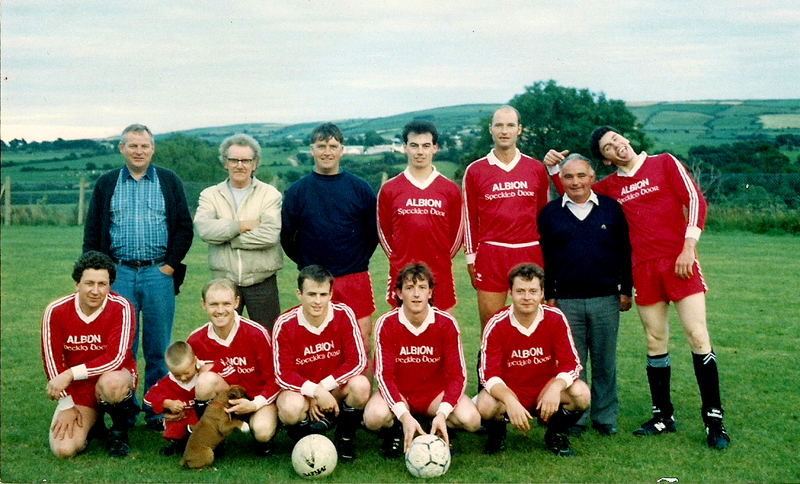 Albion moved to Corks AUL League in 2001/2002. They had 2 seasons of mid table finishes & eventually finished 3rd in 2003/2004 to gain promotion to Division 2. Unfortunatley interest dropped off and the club were relegated the following season picking up just 6 points all season. Half way through the 2005 season the club once again disbanded. 2007 saw Albion re-form once again into Corks AUL Division 3. Their first game was a 4-3 defeat to Los Zacros, after being 4-0 down at half time almost made a great come-back to mark an impressive return as a club. They finished their 1st season bottom of the league on 8pts from a possible 60. The following season the club signed a wealth of talented players from within the parish & surrounding areas. They started the ’08/’09 season impressively where in the first 8 played they were floating between 2nd/3rd & 4th. Unfortunatley the latter half of the season seemed to be a disaster, picking up 4pts from a possible 30. The club once again finished the season on the bottom of the league on 17pts. 2009/2010 started extremely poorly for the club. 5 defeats from 5 saw them rock bottom with a quarter of the season down. A 3-2 win over then league leaders rejuvinated the squad and a string of impressive results were to follow where they went 7 games unbeaten. A 4-0 loss in the cup to Macroom was the start of a mid season slump until they eventually started picking points up from the last 7 games. At one stage Albion were 3 points from a promotion spot. Albion finished the season on 24 points and in 8th position. Their best league placing since 2003 & their highest points tally since 2003. 2010/2011 saw Albion make serious headway pre-season with some impressive results against higher level teams. They started the league season with a 3-1 win over Parkview Celtic and paved the way for the rest of the season. The highlights involved a 2-0 away win over Leeside to go top of the league. They had chances to push on with the league though one or two slip ups saw them in 3rd at Christmas. 4 wins in 4 saw them keep up with the leaders until a 1-1 draw away to UCC was the start of a run of 5 games with no win. A 0-0 draw away to Innishvilla all but ended their league title chances but then a 5-0 win over UCC and 4-0 over Innishvilla brought them within touching distance. The last day of the season saw them against Cork Road Celtic who had led the table for most of the season. They won 2-0 to go 2nd and win promotion. They also finished just 1 point behind eventual champions Leeside. John Duggan played a starring role with 16 goals. Members of the 2010/2011 Squad that gained promotion from Aul Division 3. Back row: Michael Walsh, Conor Hurley, Conan Dillon, Colm O’Donovan (c), David Butler, Jody McNamara, JP ‘Japs’ Hayes Front Row: Kevin O’Neill, Noel Twomey, James O’Driscoll, Declan Murray, Rob Daly, Ger O’Connell, Martin Ryan, John Hipwell.